Lauren is a model and needed some portfolio photos. She plans to do promo and fashion work. 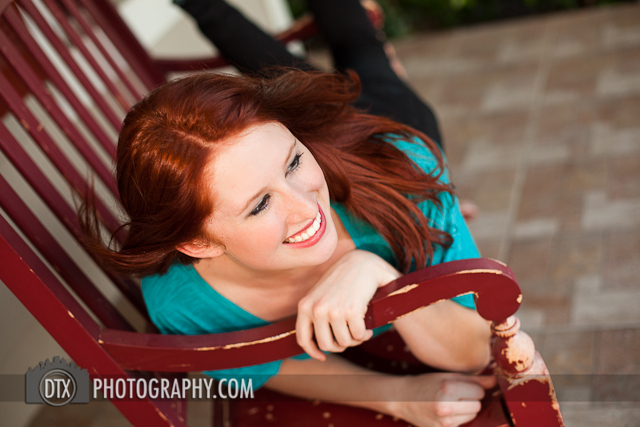 I know her from the UNT dance team who I occasionally take photos for. Lauren’s mom came with us on the shoot and helped out a ton. Dallas Fashion Photographer. I don’t do much black and white, but I felt like this shot was perfect for it. 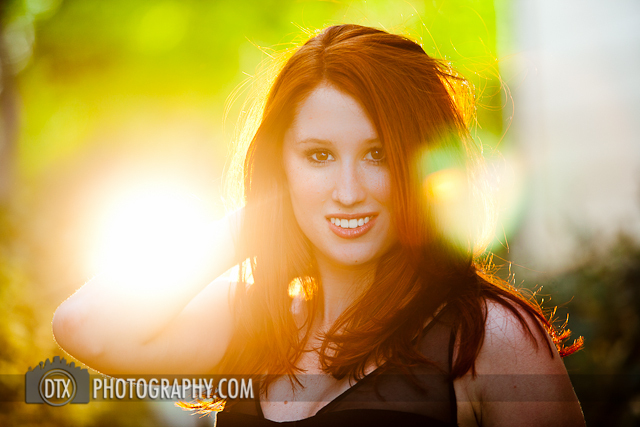 I’ve been increasingly using the orange gelled backlit flash for my dallas fashion photography. There’s an art to it and I’m trying to perfect it. You can see it clearly on these two photos below. The I used it for the dallas fashion photography fake sun flare photo. These are both good photos, but you can see the with and without here. 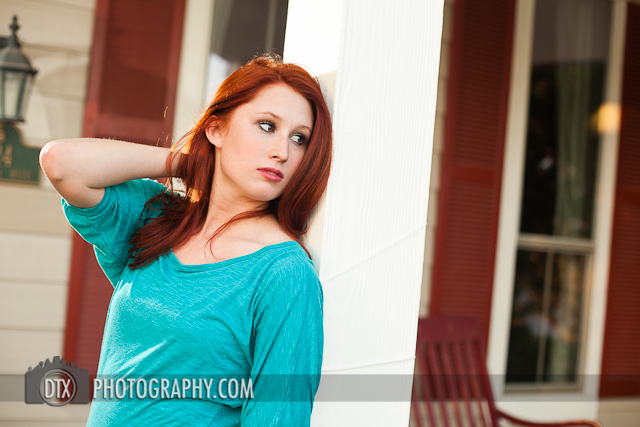 Lauren was a great fashion model to work. 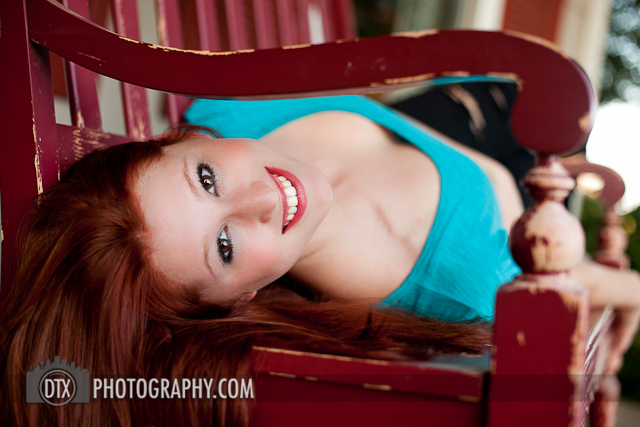 She was a natural in front of the camera, and you gotta love that red hair. All these shots were taken at a community just north of Dallas, TX. 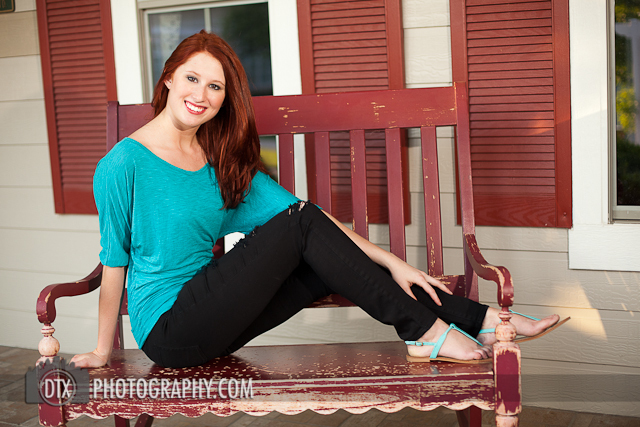 Next we headed over to a model home with some pretty red shutters and an old red bench. Perfect to match a redhead. Here we got a little silly and did a pin-up pose, not exactly fashion photography, but fun. She’s laughing at herself or her mom her. I don’t remember but it’s a very cute photo. 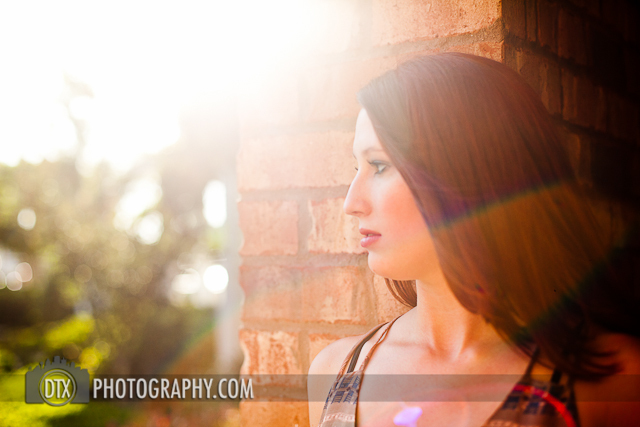 As the sun began to set, we fired off a couple more dallas fashion photographs. One with a this black see through shirt and some more in swimwear, the green bikini shown below. We got several great photos in the swimwear, but I’m only posting these two for conservation sake.